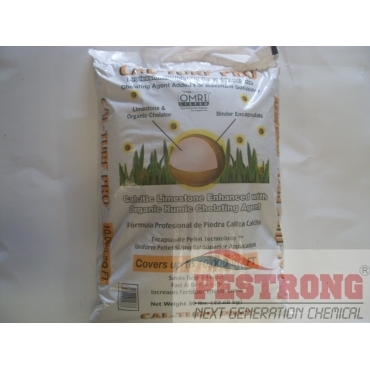 Where to Buy Cal-Turf Pro, Cal-Turf Pro Chelated Calcium Limestone - 50 Lbs - $52.95 for Sale with Fast Free Shipping! Cal-Turf Pro Chelated Calcium Limestone - 50 Lbs is more effective than limestone in rasing soil pH. Cal-Turf Pro begin to neutralize soil acidity immediately, resulting in soil pH increases that can be measured in weeks rather than months. Cal-Turf Pro allows lawn applicators to use 75% less product and saving your time, labor, transportation and storage. 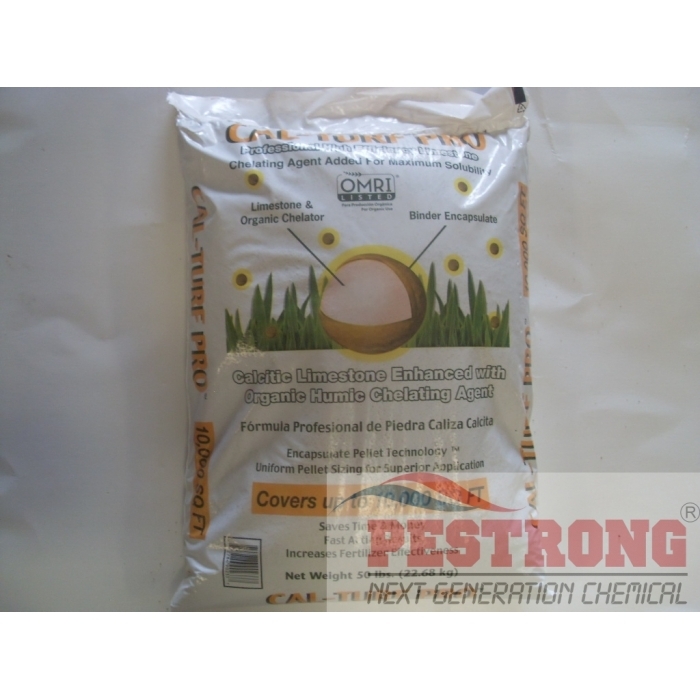 Cal-Turf Pro is high purity limestones specially formulated with an organic acid (Polyhydroxycarboxylic Acid). Organic acids are powerful chelating agents that bind to plant nutrients such as Calcium, Magnesium and Iron to increase solubility and availability. Directions for Use: Follow of soil test results. Amazing stuff. It really works as quickly as it describes.